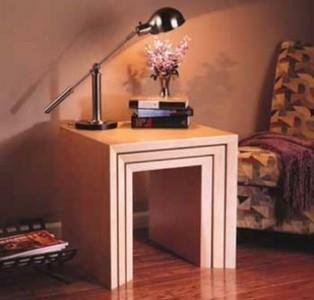 Nesting tables can keep extra tables handy for guests while taking up a very small space. Most of the nesting table plans below are for a set of 3 tables and can be used as separate tables or a nested combination. 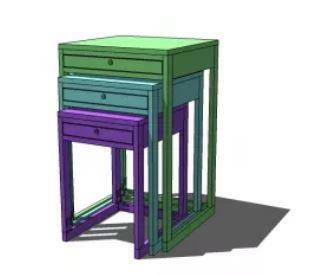 This plan is for three Melrose nesting tables to build, each with a drawer. 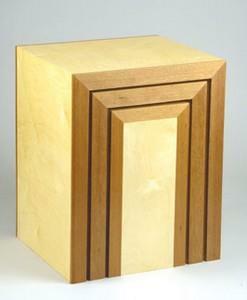 Plans for very square but contemporary looking nesting side tables. Three more nesting side tables to choose from. Plans include a materials list and some drawings to help with building. 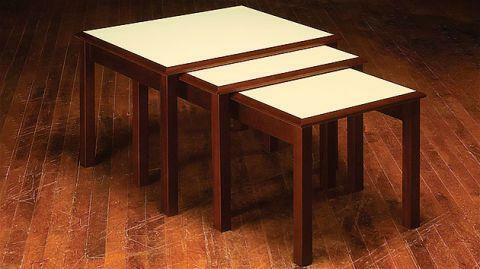 These nesting tables can be made using three sheets of plywood. Go to the very end of the article to download a pdf with dimensions. 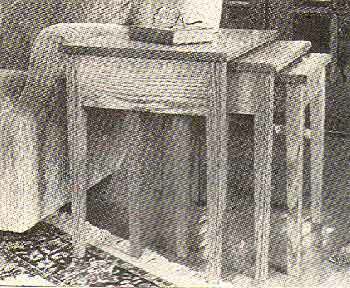 These small nesting tables stay out of the way since they are built to nest. These have MDF tops and are very simple looking.